Rule # 1: Don't let it take over your life. Checking your email can take up a lot of time, but unlike other tasks wherein time spent is directly proportional to productivity, sorting through your messages is more likely to put you off your work groove. In fact, Life Hack suggests resisting the temptation to scroll through your email (especially in the morning) and only appointing certain times in the day for it. Yep, probably the exact opposite of what you’re doing. 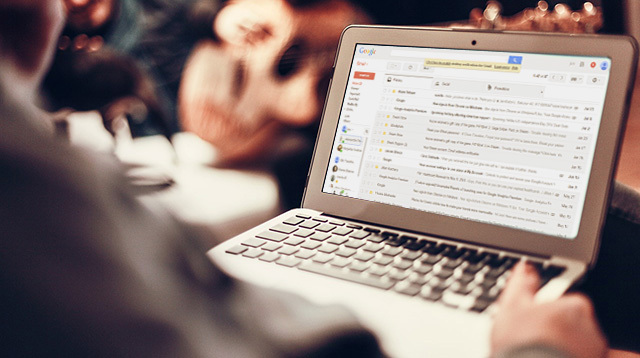 Not sure how else you’re using your email wrong? Read on! You might think that CC-ing your team members and updating them through email is the best way to keep tabs on, say, that new marketing campaign you’re doing for a client, but email wasn’t made for that. Besides, can you just imagine how difficult it is to back read? To Do: According to Forbes.com, you’re better off using programs like Todoist, DropTask,and GetFlow to see who’s doing what and SmartSheet, HipChat, and Asana for collaboration and project management. Need to have a heart-to-heart talk with a co-worker? Don’t rely solely on email. “Email fails as a tool for effective conversations,” says Phil Simon, author of Message Not Received: Why Business Communication Is Broken and How to Fix It. “It gives the false appearance of one-to-one, in-person communication.” Besides, studies show that people aren’t as good at discerning the subtext of a message as they thought. To Do: Make time to meet with the other person face to face. Composing new mail? Using too many jargons and highfalutin words may alienate your recipients or, worse, cause a misunderstanding. To Do: Make sure it’s simple and straightforward. For more email mistakes you probably don't know you're making, visit Femalenetwork.com!